Yay TOP! His new song and music video just dropped today and I’m so enthralled by the new track! 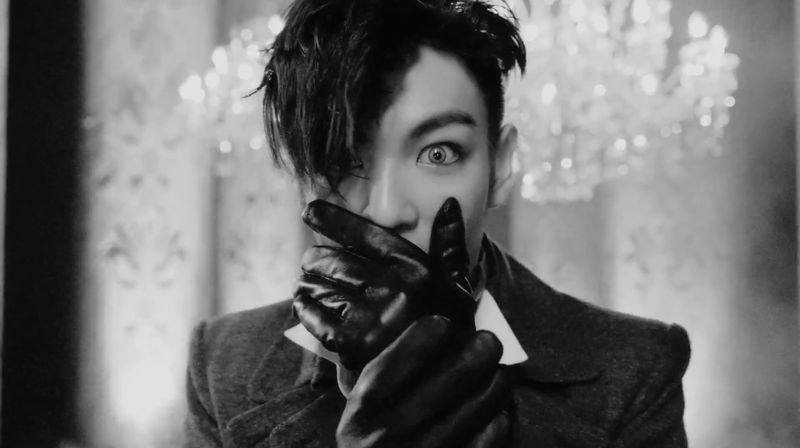 Doom Dada hits all the right notes for me. 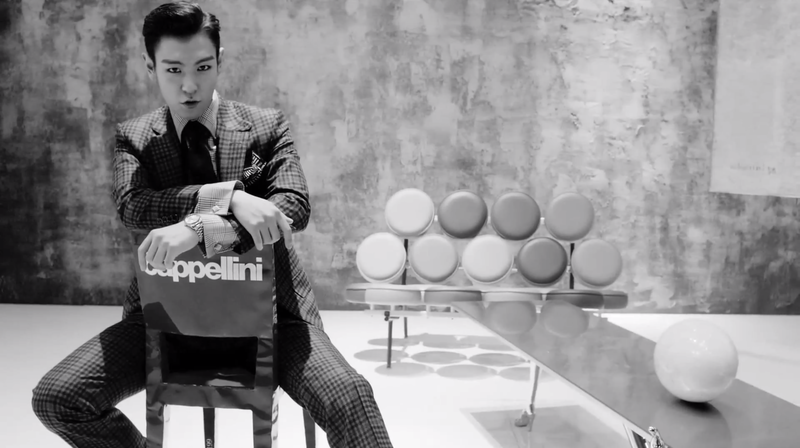 TOP’s rapping is superb and I love the pacing of the song. The track builds and builds, with each rap verse getting more and more complicated and powerful. The video itself is wonderful, but very weird. 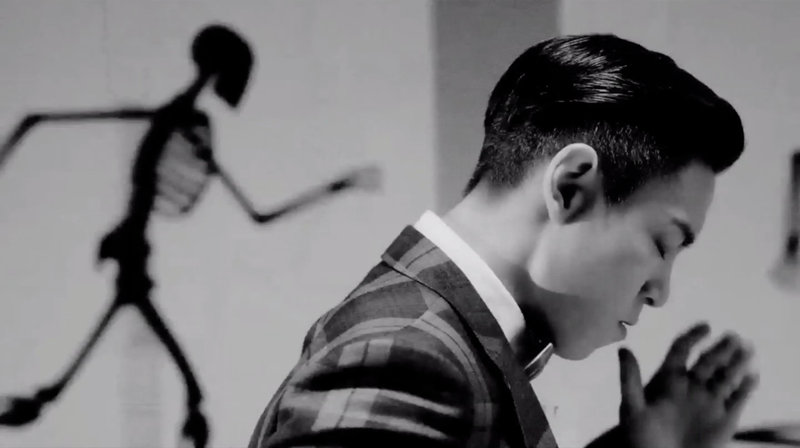 With a title like Doom DADA, TOP has wonderfully channeled Dadaism into this music video. Lots of things going on, most of which is very confusing. All together though, I love the effect. Cool and strange stuff galore! I love TOP. Like, really really love him. There’s something about his deep voice and prominent cheekbones that place him at the top of my “Favorite Korean Celebrities” list. Looks like I’m not the only one with a crush. 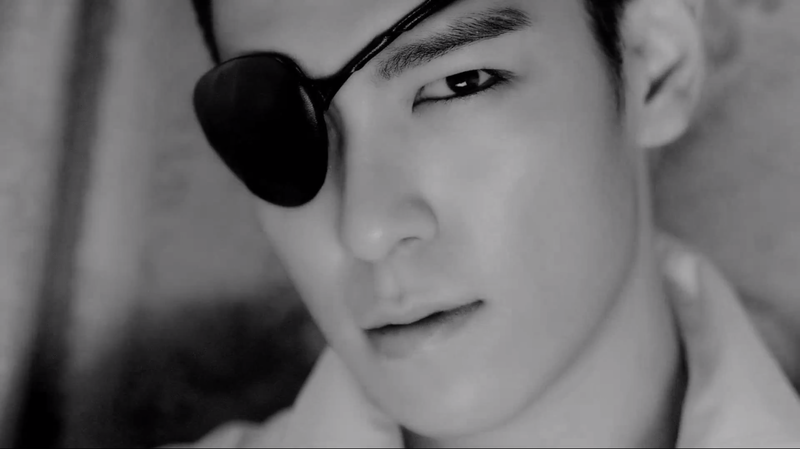 TOP just won FUSE’s poll for Sexiest Musician. Duh. This song is great. When the track was released last night, it was love at first listen! Such a cool effect with the revolving skeletons. Run TOP run! 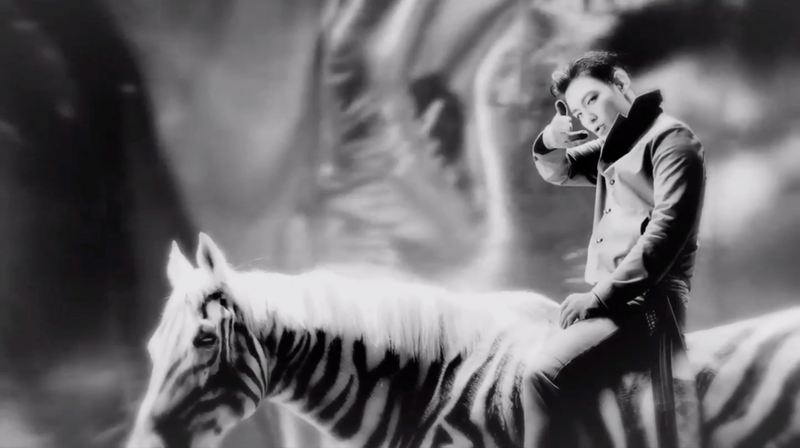 Why yes, TOP is on top of a zebra/horse. Of course. Old Spice commercial, anyone? TOP deserves his own version. 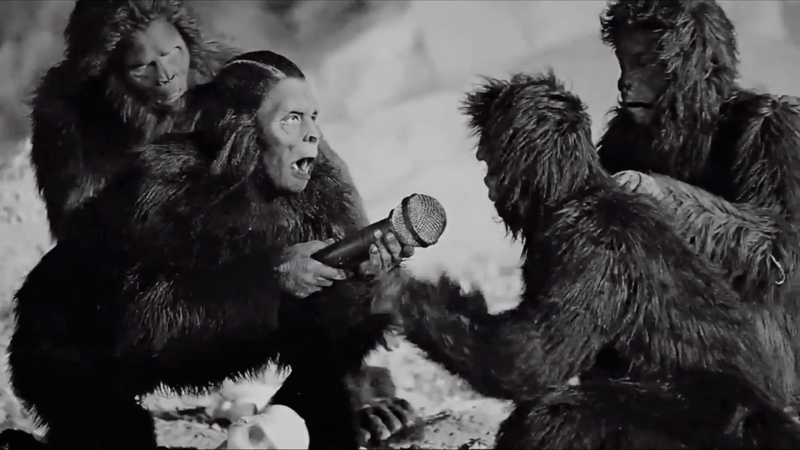 What’s with the monkeys? And the microphone? Hmmmmm. And the giant baby- wahhhhhh? My sister thinks it’s supposed to be him as a chubby child. Awwwwww. 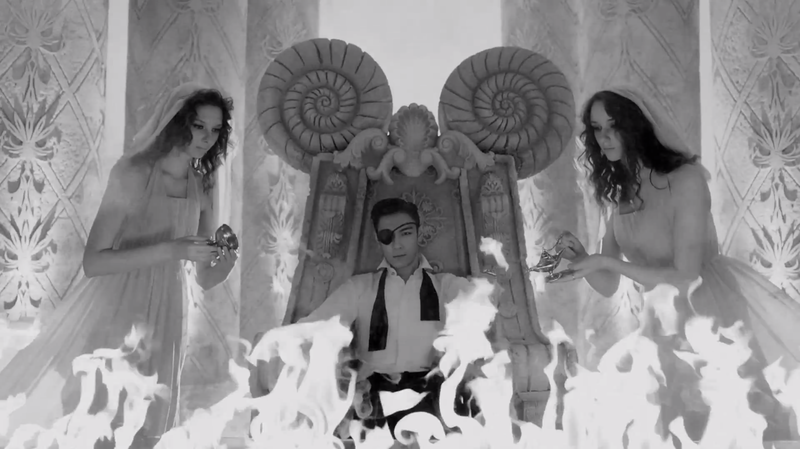 TOP is literally on fire. Not really a surprise. His hotness level finally caused him to spontaneously combust. The lighting is wonderful. 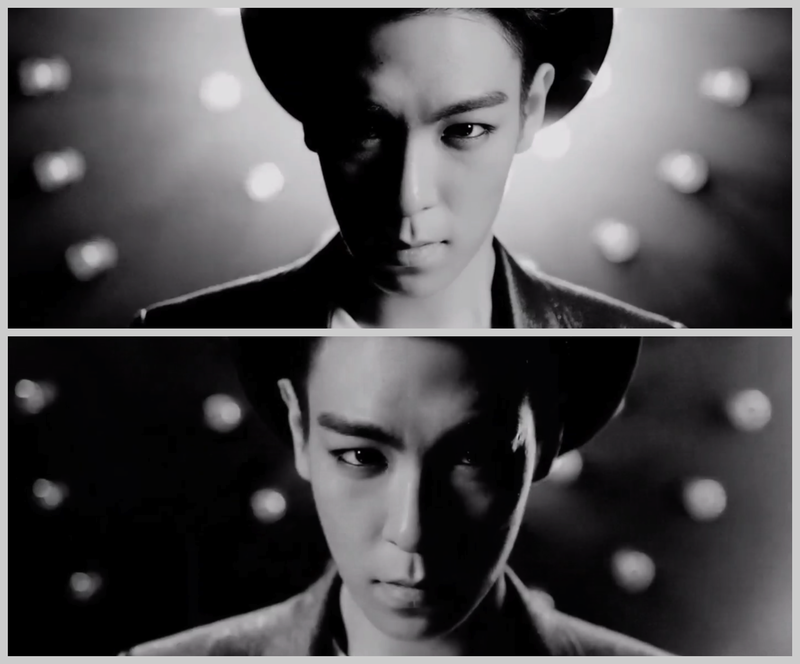 It mimics the speed of TOP’s rapping perfectly! Does anyone else just lose it at the last section? Once I hear the words “Mass Media”, I brace myself for TOP’s avalanche of awesomeness. HOW CAN ANYONE DO THAT?! BOOM my head exploded. Keep being awesome TOP. I didn’t know it was possible, but I love you even more after this song. You nailed it! What are your favorite parts of Doom Dada? Let me know what you think! You’re right, so weird! And yet, I can’t not watch it…So cool that you picked up on Dadaism in this. I wouldn’t have even thought of that!